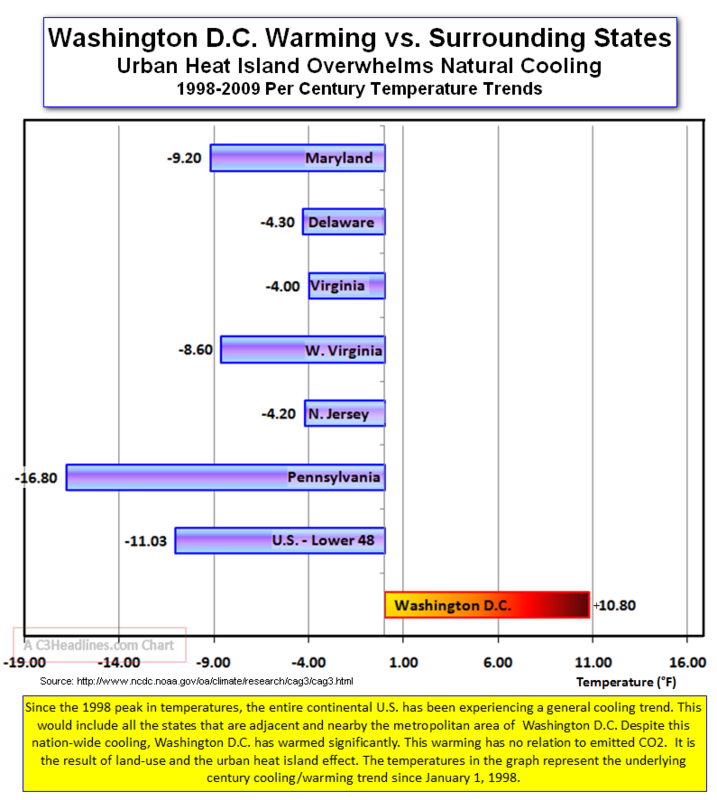 Here is a very good example of the urban heat effect from Washington DC and surrounding areas. According to the Global Warming Hysterics this effect dos not exit, or is so minimal that it doesn’t need to be accounted for. Se also my previous post about how the heat effect was 3 degrees in 1900 in Central Park, New York and now is OFFICIALLY GONE. This entry was posted on 15 januari, 2010 at 3:13 e m and is filed under Fri- och rättigheter, Miljö - Environment, USA, Yttrandefrihet. You can follow any responses to this entry through the RSS 2.0 feed. You can leave a response, or trackback from your own site.